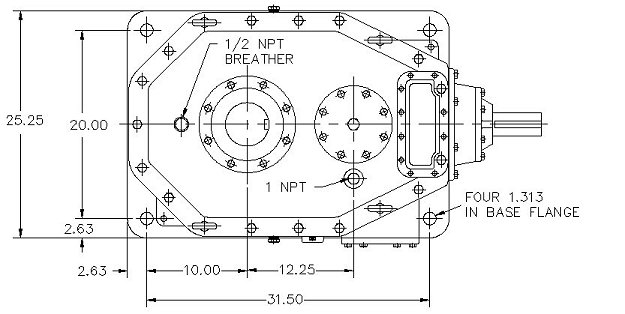 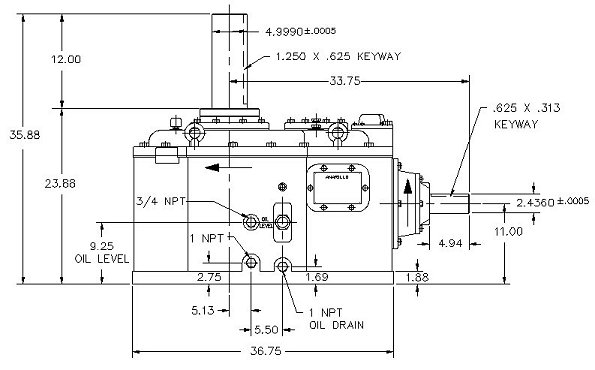 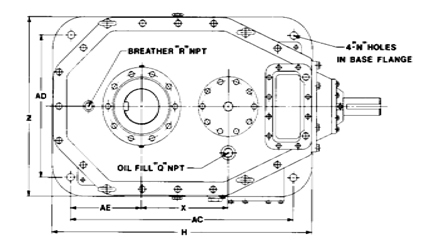 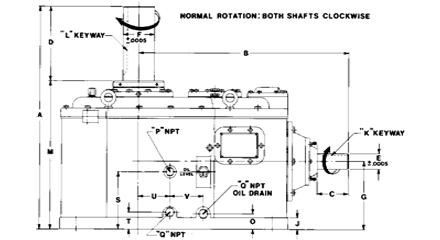 This is the standard right angle, double reduction gearbox. 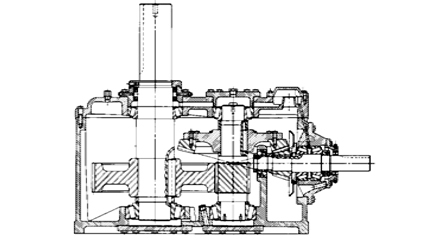 This gearbox is good for a maximum rating of 330 HP. 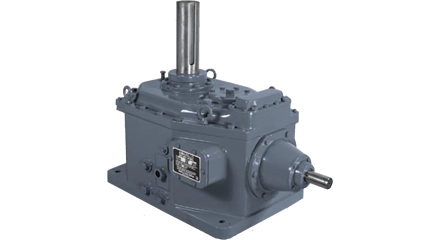 The CTD-1712W gearbox is available with custom input and output shafts as well as many other options.